Winter’s approaching. The cold east winds are starting to blow. The rain is becoming hard, penetrating, and very wet, as is my nose. It’s time to relocate, pack our stuff, move south. We’re off somewhere where there’s a bit of life (cafe culture but not nightclub or casino), and not too noisy; a few interesting places close by to visit; some decent street art to go look at; maybe some Soviet-era brutalist architecture (although this is not high on my selection criteria); decent warmish weather, even in the winter; friendly people; far away from any war zone; just a pleasant place to spend the rest of our days. I asked my much-travelled daughter-in-law, Kirsty, where I could find a place that met all my criteria and she said, “If I knew the answer to that, Mark and I would probably be there already. But wait. Varna. Go to Varna. You’ll love it.” She’s right. Varna, an attractive coastal town in Bulgaria at the western end of the Black Sea whose anoxic waters are home to scyphozoan jellyfish and ctenophores, fits the bill perfectly. I have happy memories of Varna. 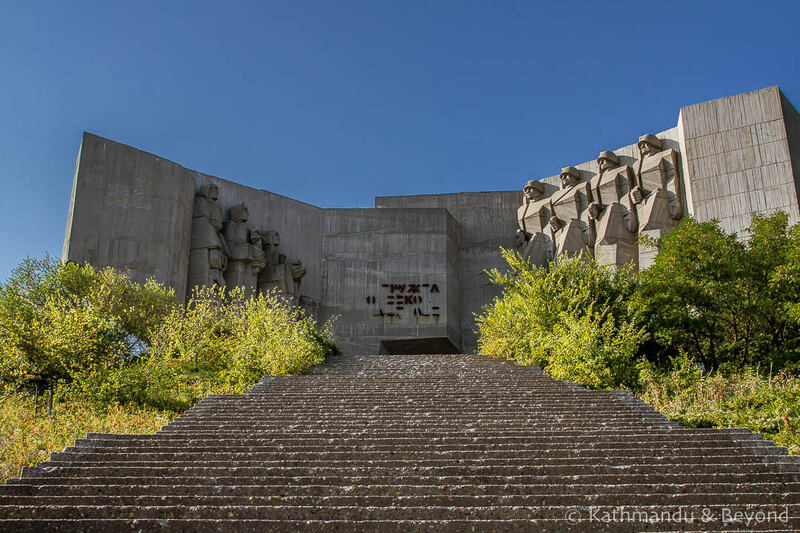 I went there in 1975, well before the Bulgarian Communist Party gave up its claim to power in 1990, and had a hilarious time talking and drinking with a group of Russians from Vladivostok. I was a delegate at a technical workshop in Varna and I recall spending the afternoon sitting on the beach discussing various digital design and test research topics with the Vladivostkian Russians, some Bulgarians, a Czech, a Frenchman, and a German. The professor from Czechoslovakia could speak all six languages fluently and he sat in the middle of the group acting as a translation hub. It was an amazing performance. That evening, some of us met up again in the Russians’ hotel room and played the game of first drink an evil herb-flavoured liqueur, then eat a piece of chocolate (to remove the awful taste of the liqueur), and then drink a shot of vodka (to clean the palate and taste buds), and then start the cycle again until everything was gone. The only problem was the Russians seemed to have an inexhaustible supply of the liqueur, chocolate and vodka and I do not recall returning to my own room to retire, but I did wake up in my own bed, thank goodness. Photograph courtesy of Kathmandu & Beyond. But, I digress. It does seem that modern-day Varna fits our relocation requirements almost exactly. It’s a seaside town so probably a bit kiss-me-quick-ish in the summer but if we find a place just off the main drag, we should be alright. 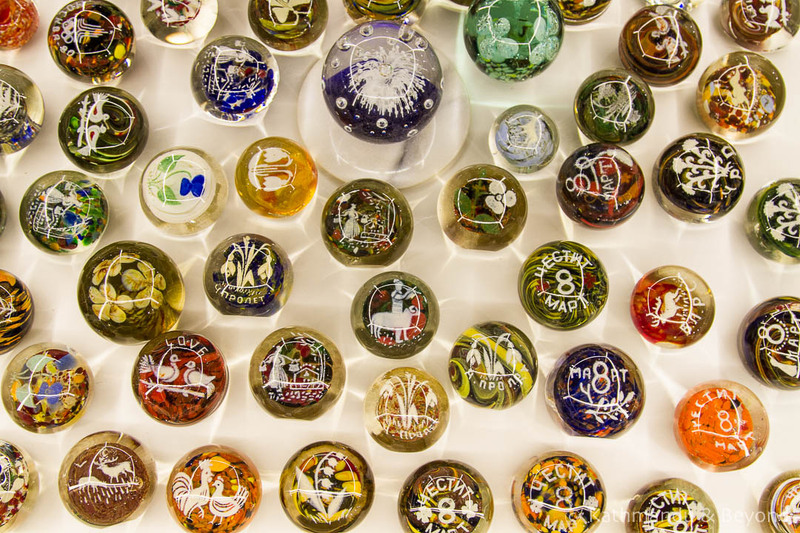 We can visit the Retro Museum full of old cars, kids’ toys, some communist-era Socialist artwork, and a fascinating collection of Soviet-style glass paperweights. Or, if we get fed up with the museum, we can take our freshly-made hard-boiled-egg-and-Bulgarian-cress sandwiches to the Park-Monument of Bulgarian-Soviet Friendship and munch while we stare at the forbidding faces of the four Soviet soldiers on the right who, in turn, are eying up the three wary-looking Bulgarian females on the left. Yes, Varna’s the place to relocate to and it’ll all happen in the next few weeks. Oh, I nearly forgot to tell you the main reason we are moving to Varna. All my life, I have been an early riser. Typically, I’m up and functioning by 5 AM every morning. This is great for getting work done – writing and responding to e-mails, writing a new blog or starting a new book, absorbing the early-morning news on the BBC website, checking the bank account, or just watching the sun rise – but the penalty of this habit is that by 9 PM I’m tired and have to go to bed thereby missing all the exciting post-9 PM watershed programs for adults on the television. Normal people don’t do this. Normal people get up at 7 AM and retire at 11 AM. And, I want to become normal. So, here’s the point. 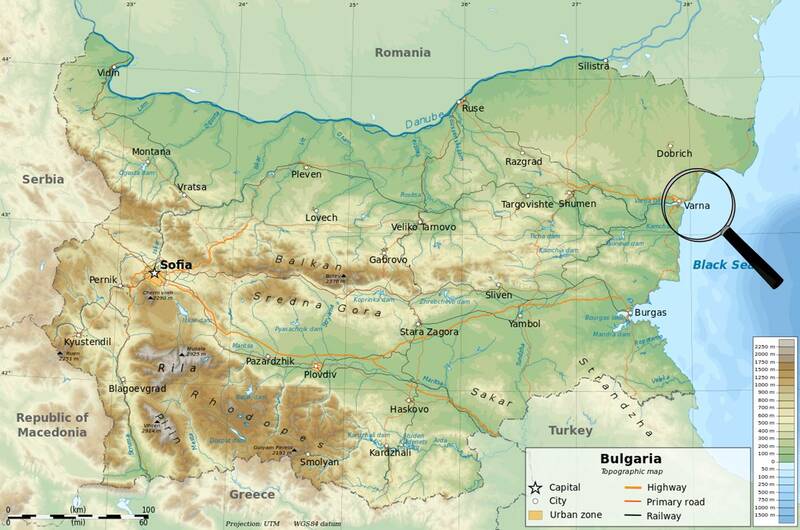 Varna is in Bulgaria and Bulgaria is two hours ahead of the UK. Thus, if I move to Varna, when I wake up at 5 AM, it’ll really be 7 AM, and when I retire at 9 PM, it’ll really be 11 PM. Problem solved!